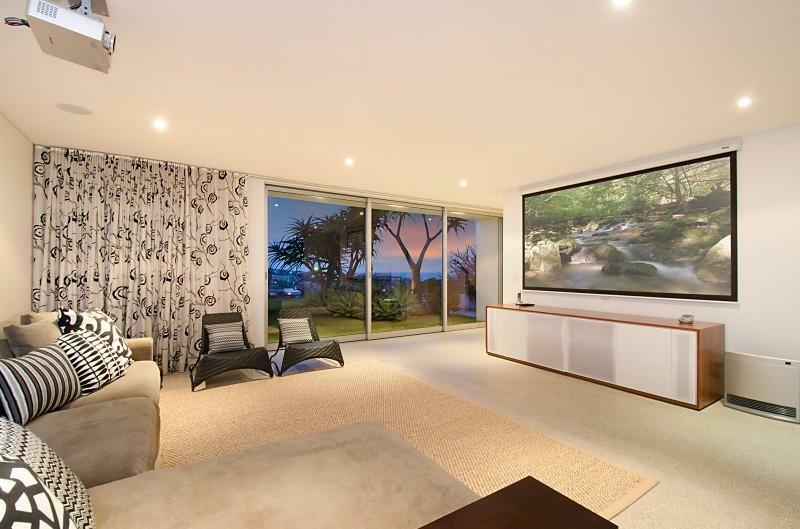 On the hill above Bronte sits a sparkling Alex Popov designed masterpiece with views of the surf or pool from every room and design cues from the late American architect Louis Kahn. 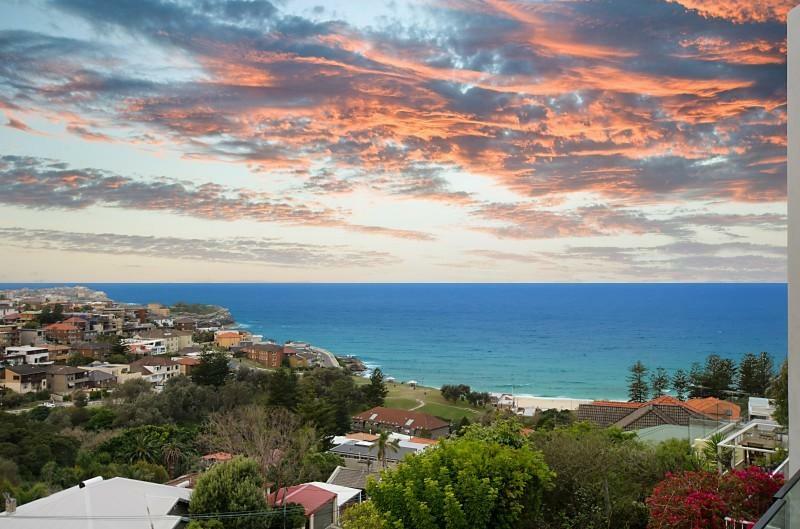 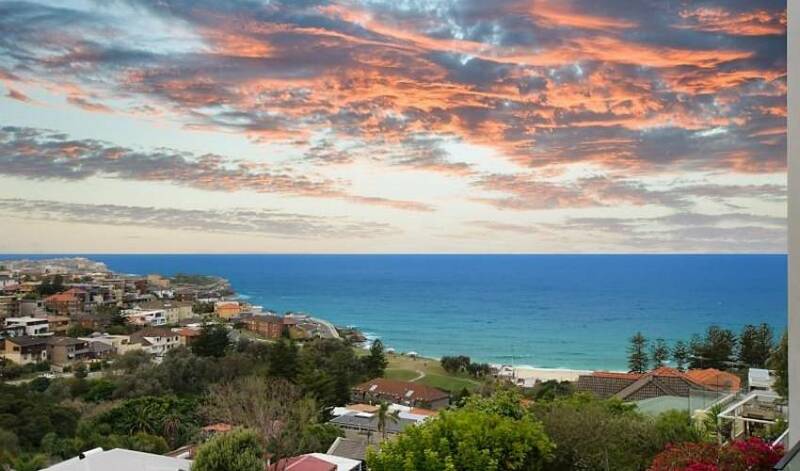 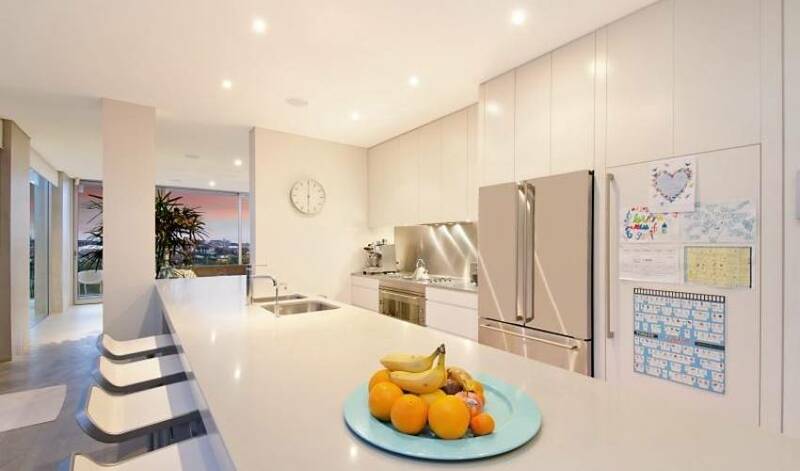 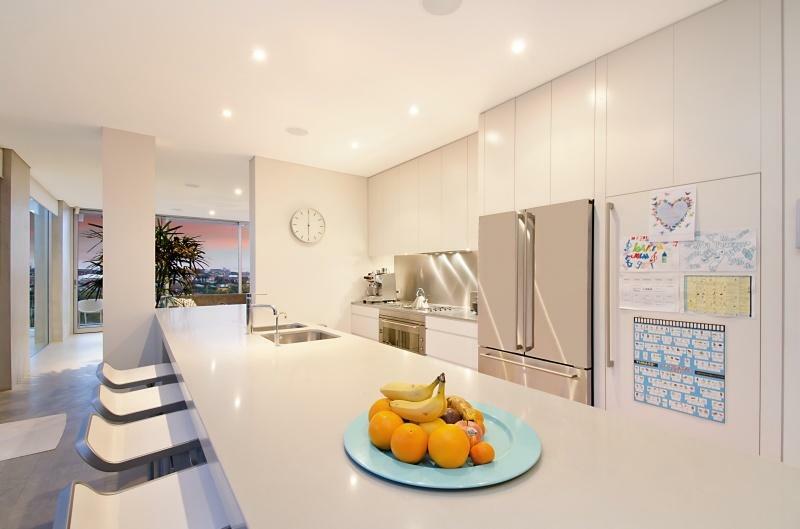 It is only a 3 minute walk to Bronte Beach and all views are of Bronte Beach. 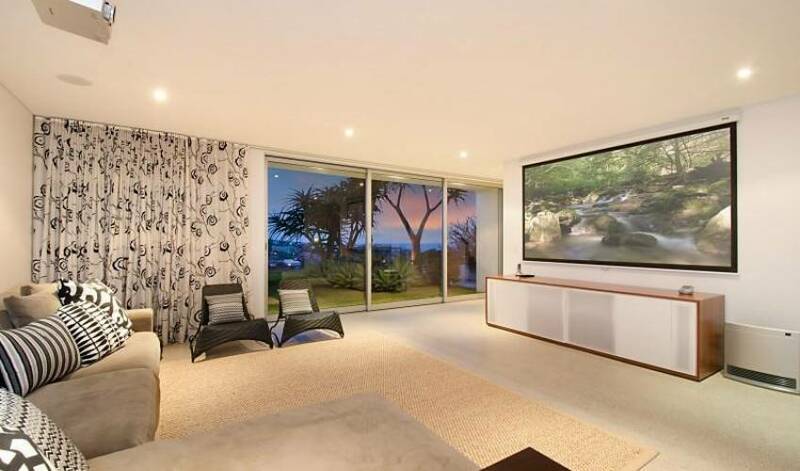 It boasts 4 levels, parking in a private garage (electronic doors) from the street. 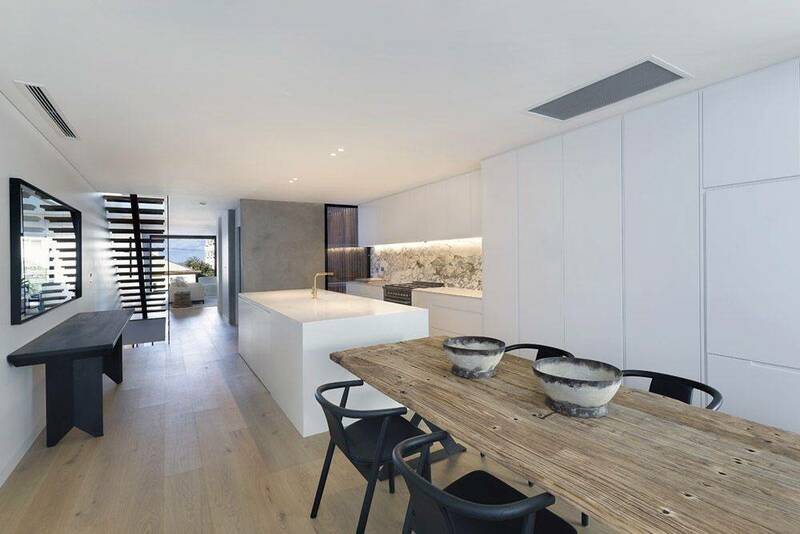 Lift access through the house. 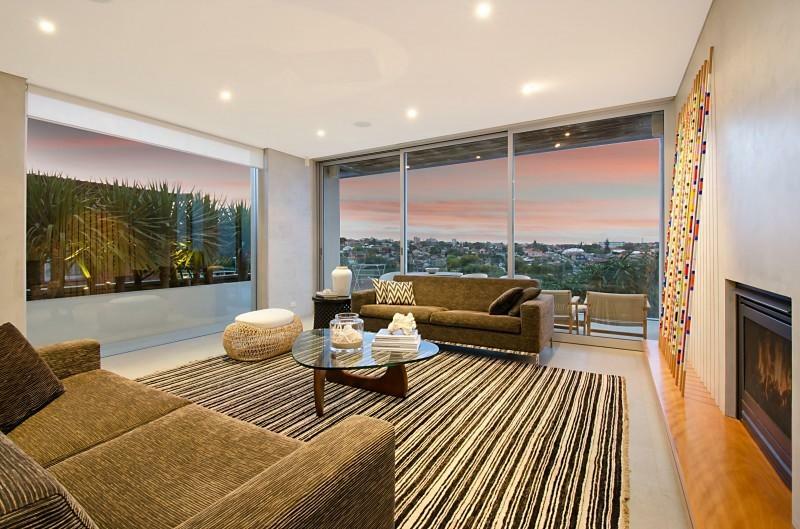 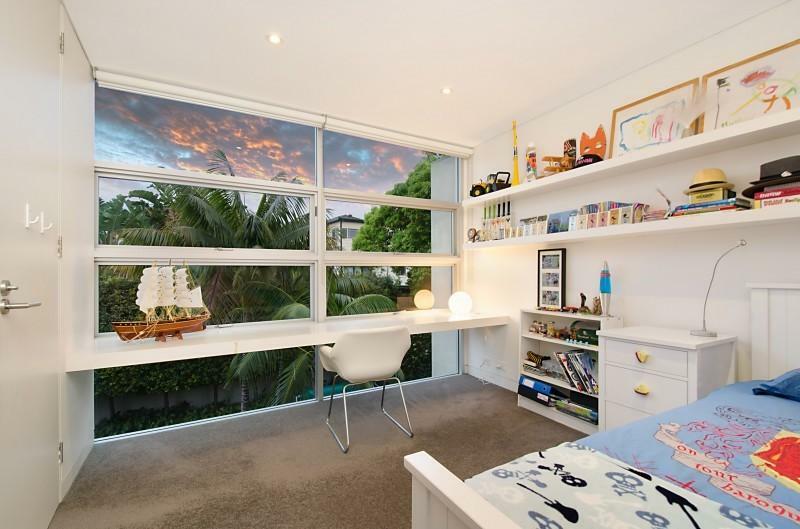 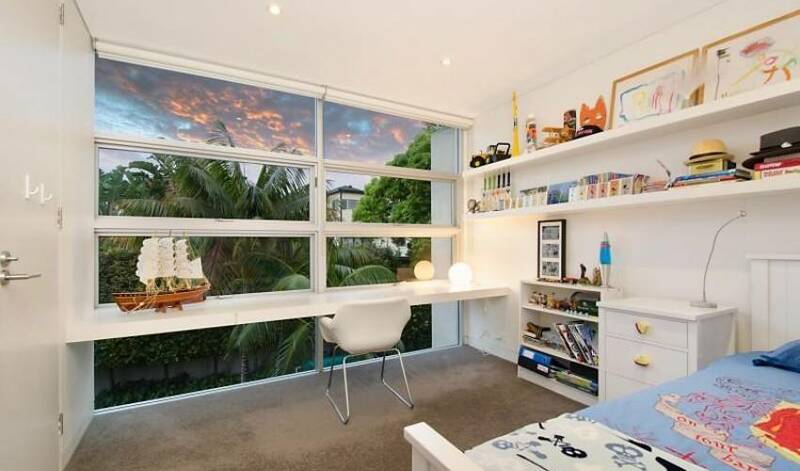 Large master bedroom with balcony and views of Bronte Beach. 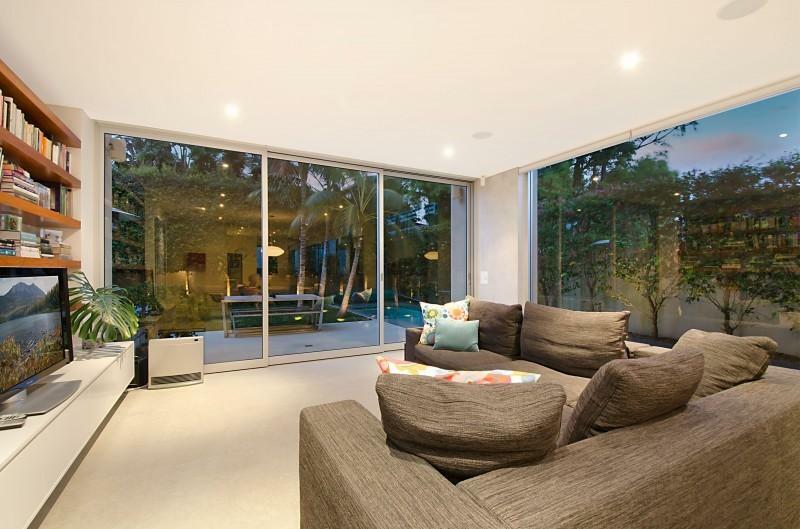 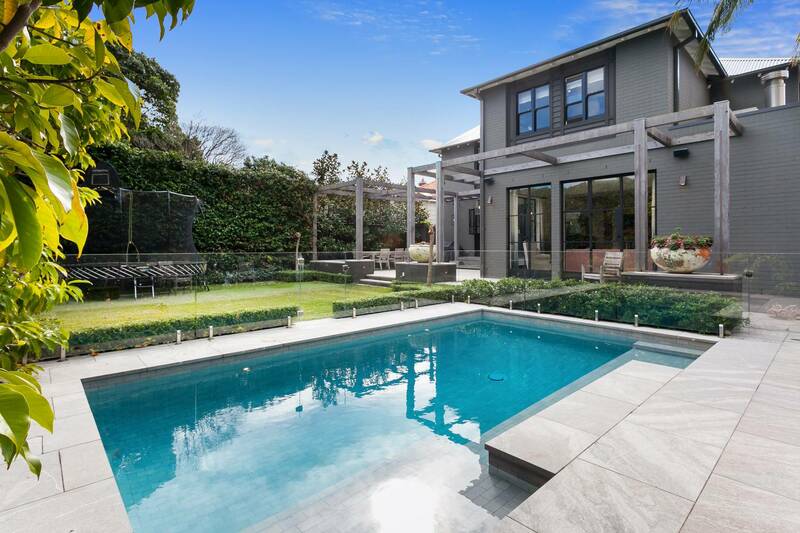 Immaculate house, with great interiors. 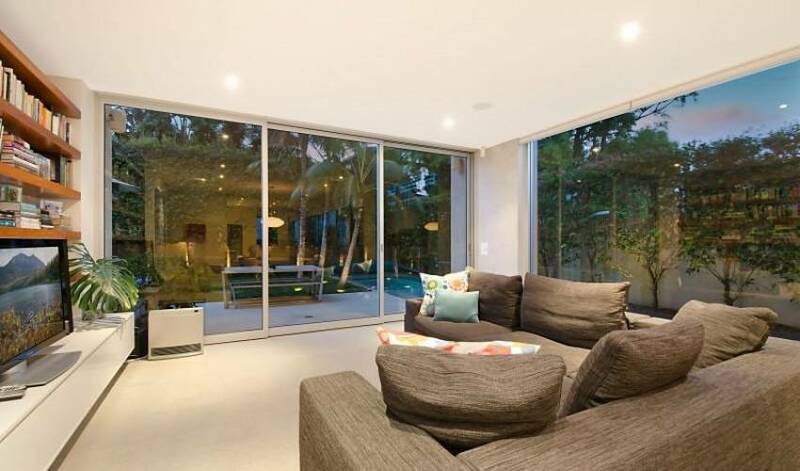 The lap pool runs along the side of the living room. 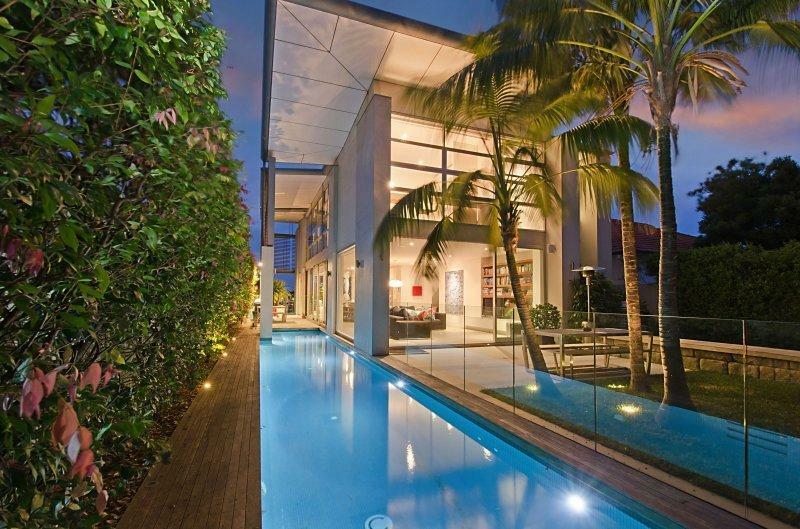 The overall design is a cantilevered roof over a large open box.